I couldn’t resist the purple pidgeon fever that invaded Facebook. I had no idea of where it came from but I read this article. So, the purple pidgeon is an illustration by Syd Weiler intended as a Facebook add-on that went viral thnks to some internet magic. Soooo, this is my precious omage to this viral sweetie. 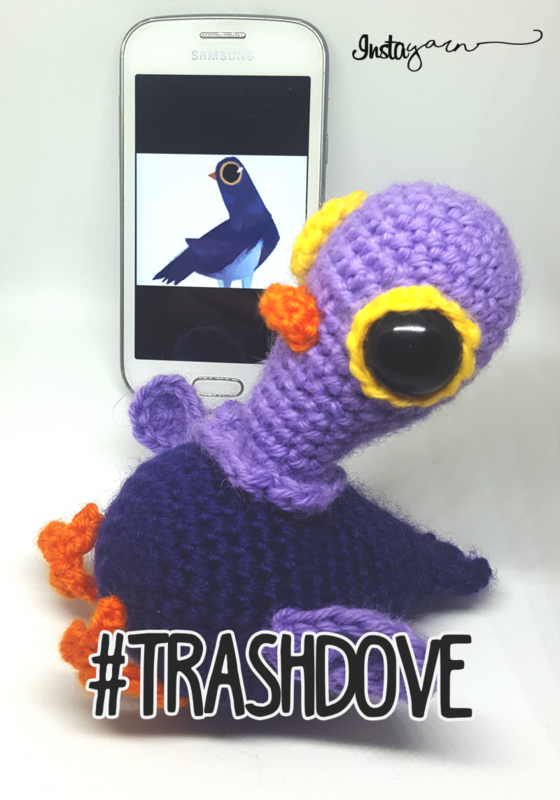 Here you go, with TrashDove, the social Pidgeon. 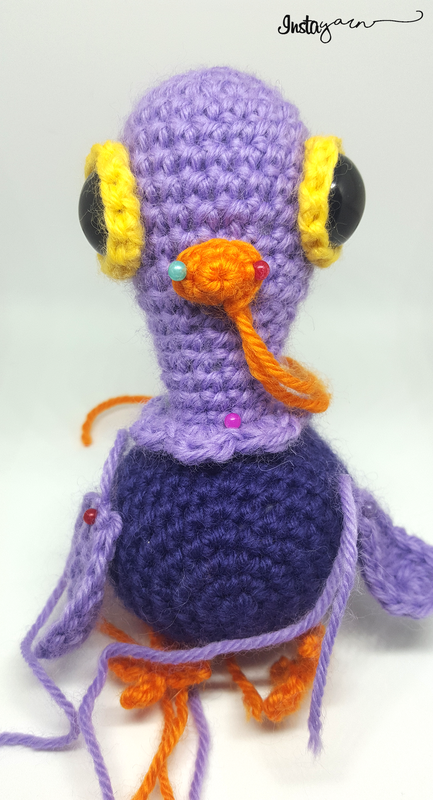 QUEUE #TRASHDOVE ON RAVELRY BEFORE YOU GET STARTED! These are just suggestions about the materials. 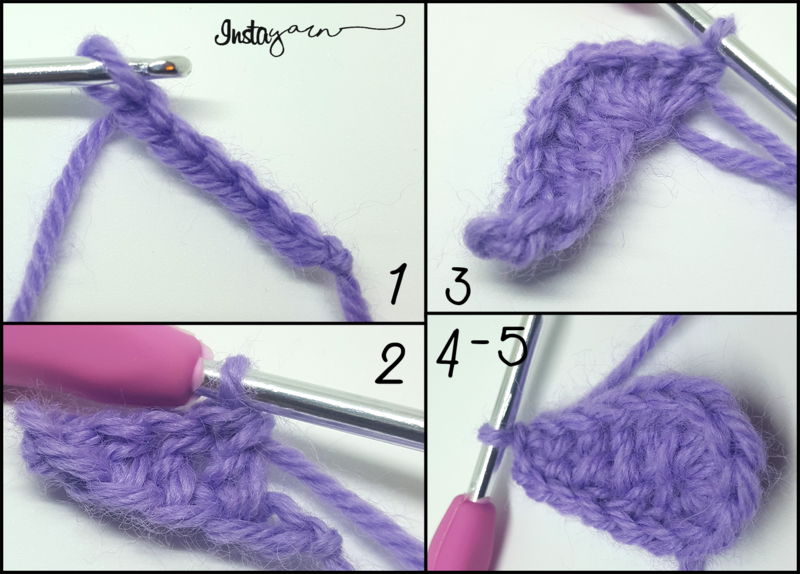 Keep in mind that resizing the hook and the yarn accordingly, you will get a bigger or smaller amigurumi. Are you searching for some supplies? 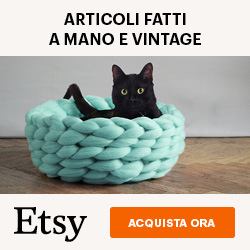 I buy my stuff on Amazon! Work in rounds. I place the safety pin in the last stitch of every round so I have to keep count just of the current one. 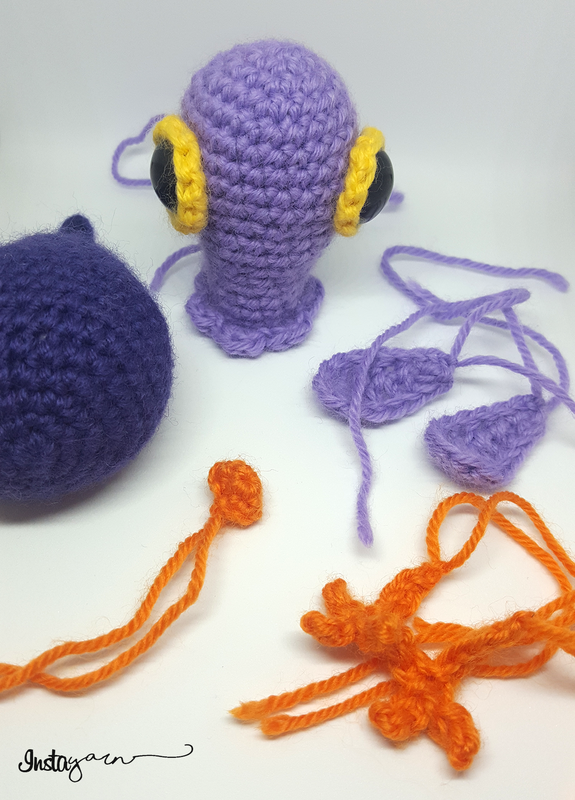 We’ll build the amigurumi bottom up. Some parts are plain and not in rounds. 21° round: Flatten the ending cylinder. Make 3 SC to close the hole (see picture below). SC 1 on the second chain from hook, HDC 1 on the next and 2 DC on the next 2 chains. After hundreds years I found the perfect eye kit! 18° round: the collar. 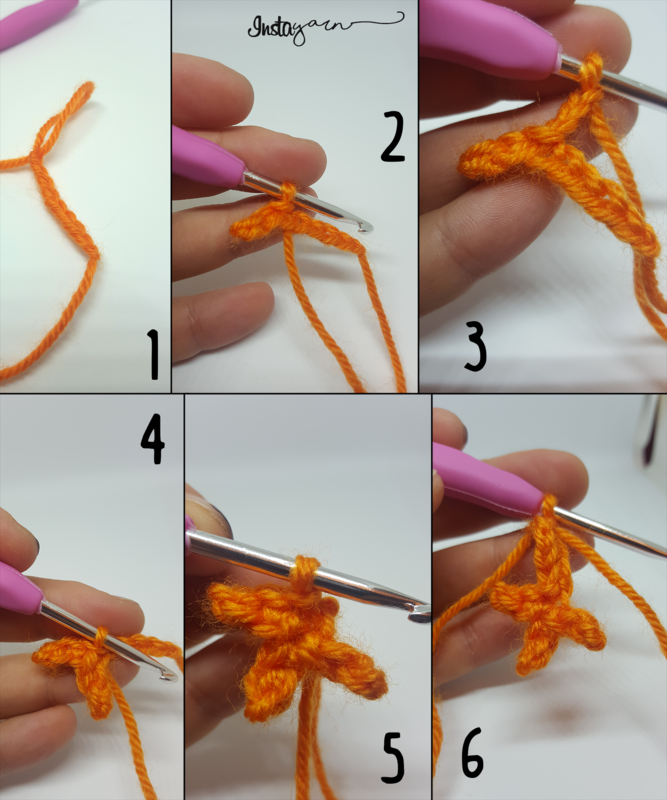 Make a sl;st in the last stitch from round 17. Now that we have all the parts, we can build TrashDove. Befor the sewing part, I try up some configuration with pins. 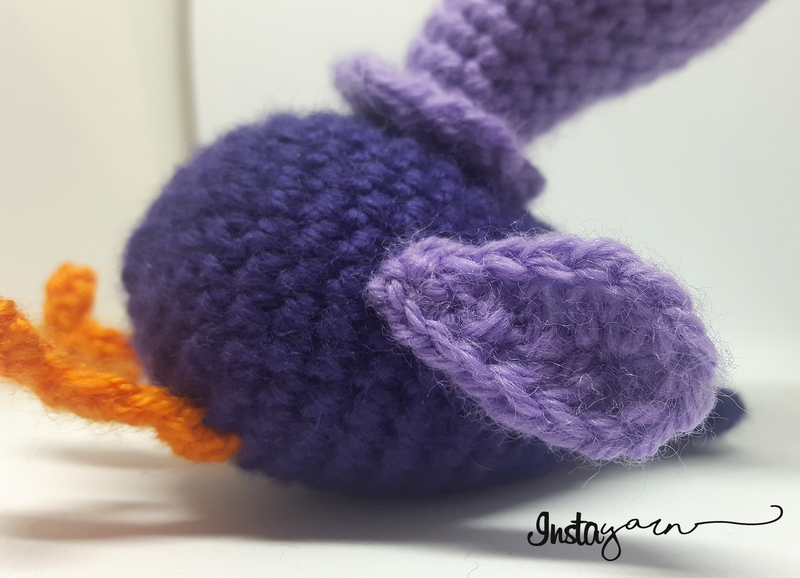 The head could be a little heavy so you need a perfect center placement if you want the amigurumi to stay up and not down. The parts have directions, so you have to use the plumed bottom as a reference for the rest. First thing first: place the head and pin it safely. The rest will come along using some simmetries. 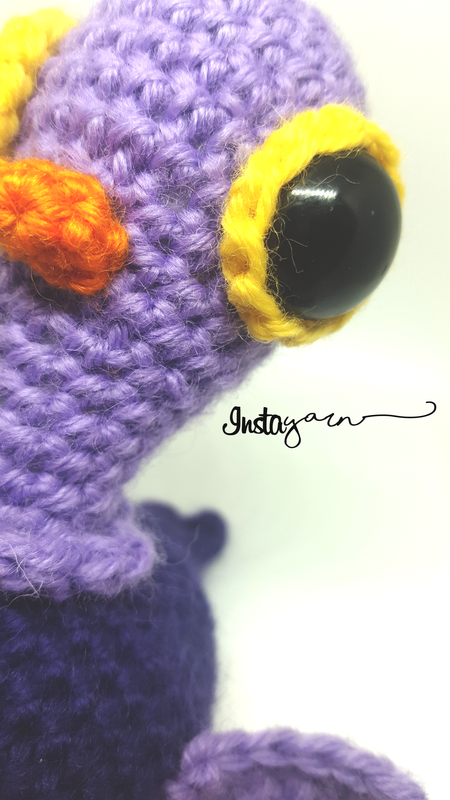 Place the beak on the first decrease weave, in the center of the “smarty” eyes. Ok, now pin the wings aaaaand, there’s no part left. Congratulations! Sew the parts and there you have it! TrashDove, the social Pidgeon.